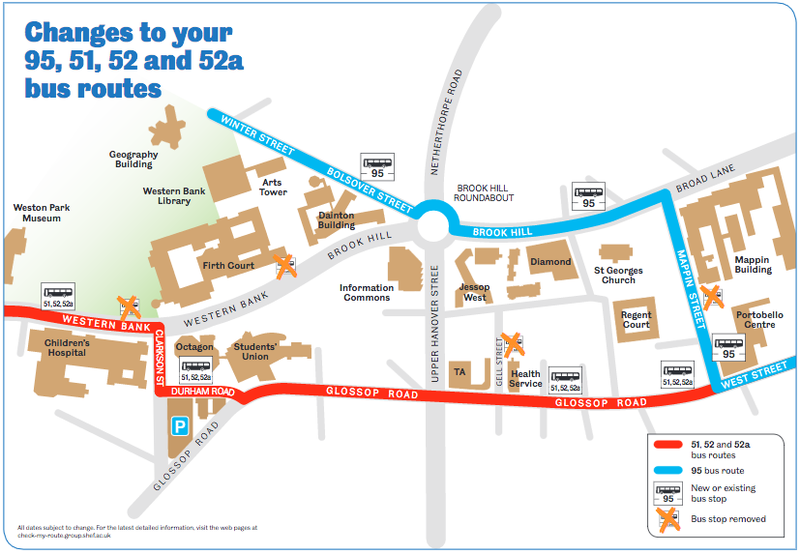 The 51 and 52 buses heading towards town will take a different route near the university and Weston Park from Monday 13 June. Routes 51, 52 and 52a will now turn right onto Clarkson Street at the Children’s Hospital. They will then turn left onto Durham Road, where there will be a new bus stop, before joining Glossop Road then West Street. The outbound service is unchanged. This entry was posted in council, crosspool, roadworks, traffic, transport and tagged 51 bus, first bus. Bookmark the permalink.